Center fielder threw out another Boston runner in a key spot, and Oakland Athletics kept the Red Sox stumbling with a 7-3 win. Two-out grounder hit the third base bag and popped into the outfield for a tie-breaking, two-run double in the ninth inning. 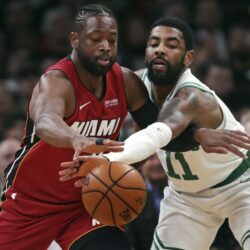 Celtics deal Miami's playoff hopes a big blow with 112-102 win. 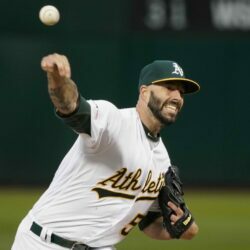 Fiers gave Oakland another stellar start and the Athletics made Matt Chapman's homer stand in a 1-0 win over Chris Sale and the Boston Red Sox.